Celebrate the 50th Anniversary of the iconic and groundbreaking animated film, The Yellow Submarine! A project decades in the making from writer/artist Bill Morrison, co-founder of Bongo Comics, artist on classic Disney posters, and editor of Mad Magazine! 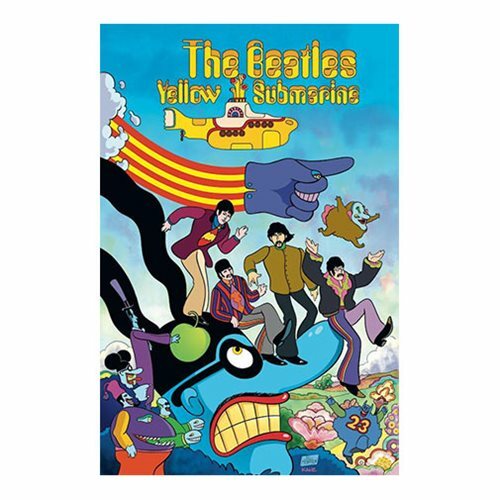 When the music-hating Blue Meanies invade the underwater paradise of Pepperland, the Captain of the Yellow Submarine sails away to find help... and stumbles upon The Beatles! Can the Fab Four free Sgt. Pepper's Lonely Hearts Club Band, return music to Pepperland, and overthrow the evil Blue Meanies through the power of love?